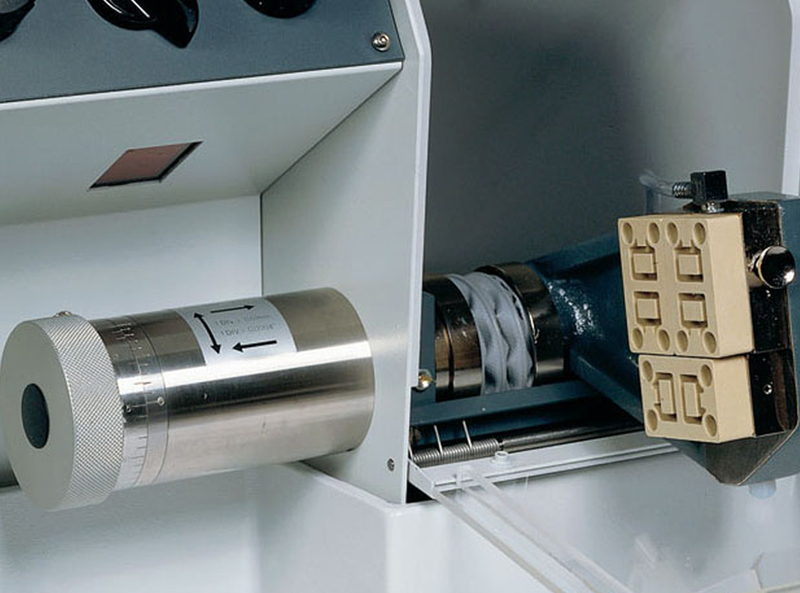 Discoplan-TS is a versatile precision cutting and grinding machine for fast and economical production of petrographic and ceramic thin sections. Discoplan-TS combines the cutting and grinding processes in one machine, thus reducing investments and allowing for very fast preparation procedures. 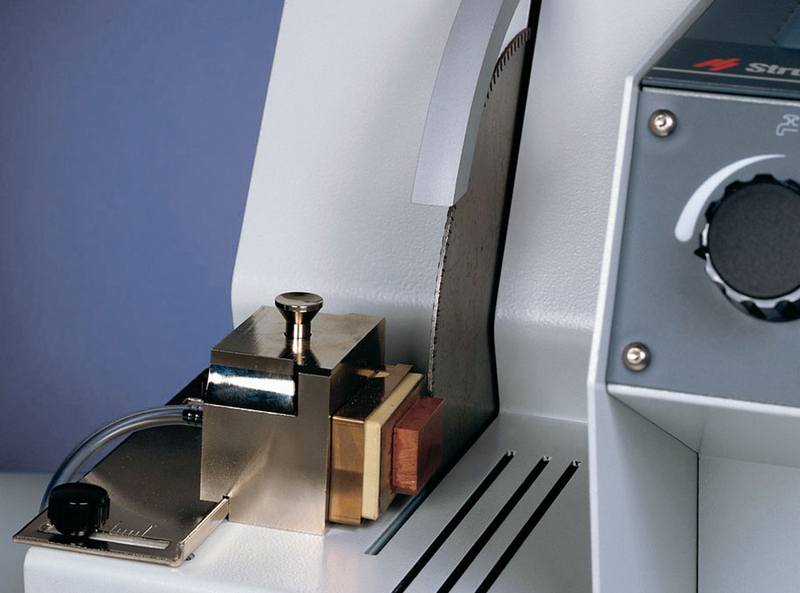 The Discoplan-TS is the cornerstone of the Struers TS-Method™ for the preparation of thin sections, using a technique that provides outstanding quality and very high reproducibility, while being very easy to use. Precision grinding to near final thickness saves time. Cutting and grinding combined in a single machine reduces the investment requirement. The left-hand side of the Discoplan-TS takes care of the cutting. A choice of two types of diamond cut-off wheels ensures perfect cutting of all materials, with a minimum of damage. The cutting module of Discoplan-TS also carries out resectioning of the specimen (cutting off surplus material) via easy fixing of the thin section in a vacuum holder, controlled by a guide-rail on the machine table. The right-hand side of the Discoplan-TS is designed for precision grinding. Automatic preparation of thin sections demands that all glass slides have exactly the same thickness, with a tolerance of a few μm. A built-in micrometer ensures extreme precision. Precision grinding to near final thickness saves final processing time. Precision thin section machine. With three vacuum chucks for grinding of three glass slides of 27 x 46 mm, 28 x 48 mm, or 30 x 45 mm, or two glass slides of 1.0 x 3.0" and specimens. Including holder for cutting of rocks (75 x 75 mm), holder for cutting of standard specimens (8.0 x 20 x 30 mm), dial gauge, and recirculation cooling unit. Diamond cutoff wheels, diamond cup-wheels, and vacuum pump are ordered separately. Struers’ products are subject to constant product development. Therefore, we reserve the right to introduce changes to our products without notice. Order your consumables directly from our e-Shop.